One of the most noticeable features in a room is the floor. The eye is automatically drawn to open places and to things on the floor. That is why it is important to have the best floor cleaning company and most professional floor care available. Pro Service Cleaning, LLC, is known throughout Broward and Palm Beach County including cities such as Ft Lauderdale, Boca Raton, Pompano Beach, Hollywood and Weston FL areas for our excellent floor care services. As part of our residential/commercial floor care cleaning, we offer professional carpet cleaning services. We can vacuum or scrub out hard stains that you thought couldn't disappear. We can do regular carpet cleaning services, or projects that require scheduled service care on even wool carpets. Our residential/commercial carpet cleaning professionals will take great care of the carpeting in any building you desire. We also offer professional tile cleaning. We provide porcelain tile cleaning and ceramic tile cleaning, along with grout cleaning. Our tile and grout cleaning is performed with top of the line products and equipment to get perfect results. We also offer floor waxing, along with other waxing services. Our floor waxing services include VCT tile surfaces, ceramic tile and all hard flooring including stained concrete floors. Our floor polishing care includes marble floor polishing and VCT tile polishing with high speed propane machines to achieve the highest shine. We know what type of treatment that needs to be applied to each kind of floor to achieve that "wet" glossy look! Not only does Pro Service Cleaning, LLC provide office floor cleaning, but we also provide service to warehouse floors as well. 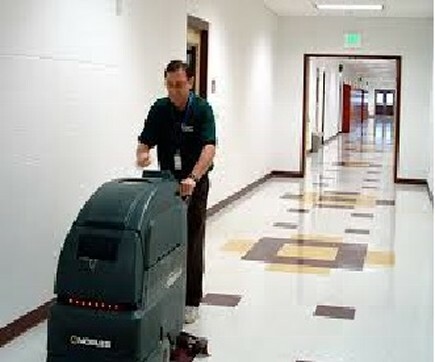 Auto scrubbing warehouse floors is a common procedure for our highly trained staff. Auto scrubbing and other residential/commercial floor cleaning is completed during the hours that best suit your company schedule. If you have any questions about our floor cleaning business, give us a call today. We will provide you with pricing information and tell you about any discount prices that may apply. We would love the opportunity to serve you.